The future lies in digital currency so start earning your share today! No maintenance. Low risk. High earning power. The rise of online shopping and widespread use of the Internet has pushed physical currency aside and given rise to the creation of cryptocurrency. The best-known digital currency, bitcoin is held electronically and can basically be used to perform purchases and transactions digitally. Bitcoin mining can be costly and difficult, especially in regards to managing the hardware, dealing with electricity bills and keeping up with the latest bitcoin updates. With virtual mining, however, there is no maintenance, no installation and no expensive bills. Virtual mining is a new mining concept, whereby bitcoin is mined using shared processing power that are operated at a remote data center. 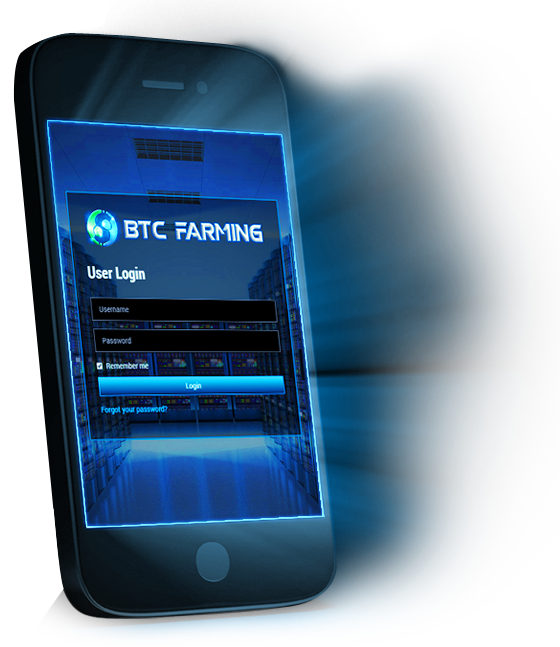 Instead of purchasing a mining hardware and managing it yourself, you obtain bitcoin mining power that is provided by BTC Farming Network Ltd. All the processes of bitcoin mining are done virtually, without any hassle or upkeep problems.